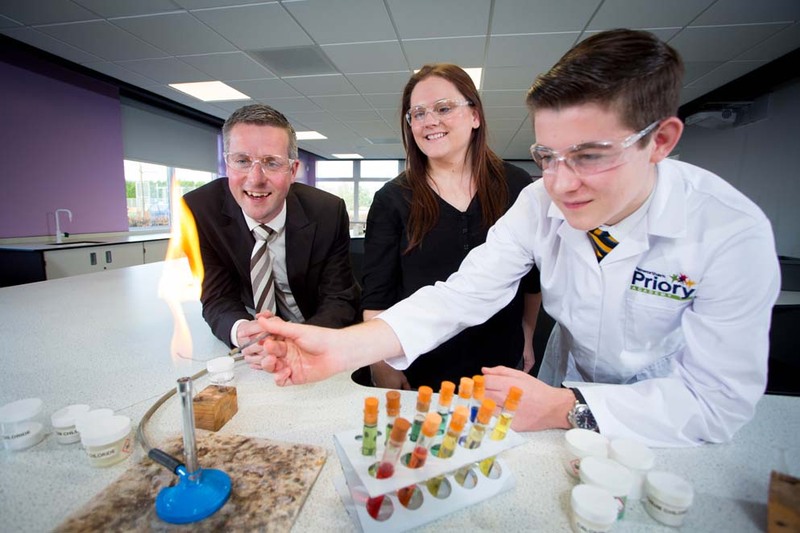 Stockport-based Innova Design Solutions, alongside Cassidy + Ashton Architects and contractors F Parkinson, have created state of the art science labs and a collaborative research zone at Penwortham Priory Academy in Preston, the school where 13 year old Jamie Edwards became the youngest person in the world to create nuclear fusion in 2014. Jamie, who’s now studying for his GCSEs at the school, says the new learning space, which features cutting edge wet and dry labs and a flexible collaborative area will inspire students’ passion for science. The labs, part of a £750,000 investment project by the school, include a wet lab created using Innova’s flexible Hot Corners design, which combines a working classroom and a practical laboratory in one space, and a dry lab with reconfigurable pod units which can be rearranged to accommodate a range of teaching styles. 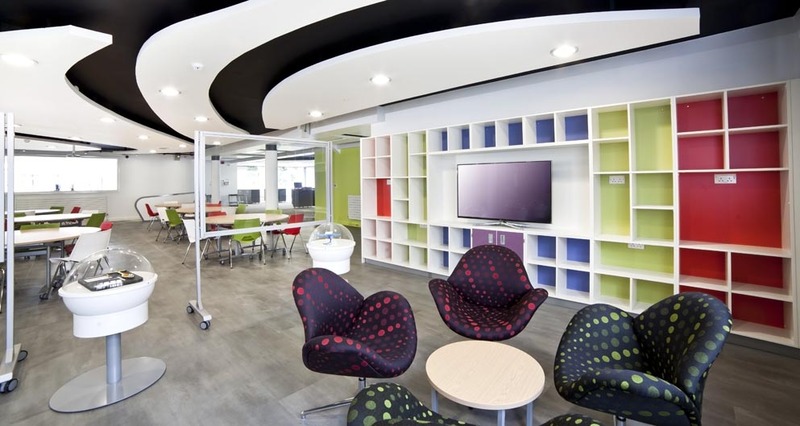 An open plan research zone, complete with ‘space age’ themed break out area and and sawtooth desking for ICT work offers staff and students the opportunity to work in groups or individually. Flexible furniture and glass screens which double as writing boards enable teachers to alter the space to suit their needs. “Penwortham Priory were looking for innovative, open plan learning spaces that inspired students without placing any restrictions on the way they learned.